Andre Miripolsky is a pure bred pop artist. His work exploded onto the art scene in the early 1980’s and his exuberant color style continues to influence pop culture at large. Miripolsky combines far flung motifs from Picasso to Haring to the street. There are bold lines, brilliant colors, cartoon effects and an undeniable joy of life. 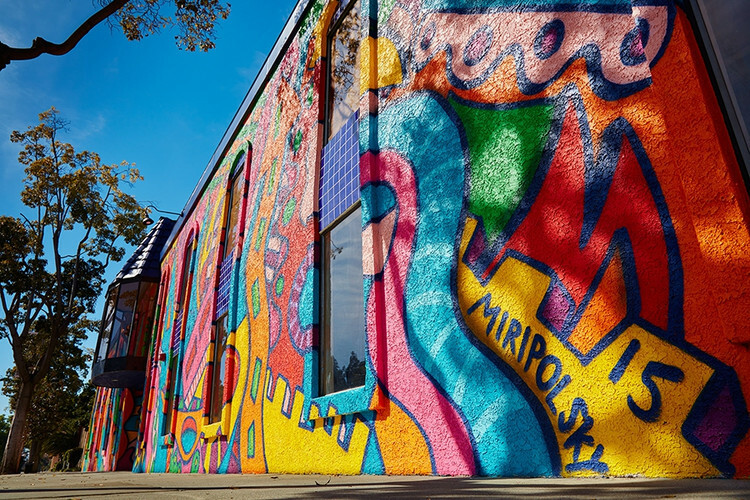 Miripolsky in his fifth decade in the arts has become an elder statesman and mentor to muralists working throughout the world.